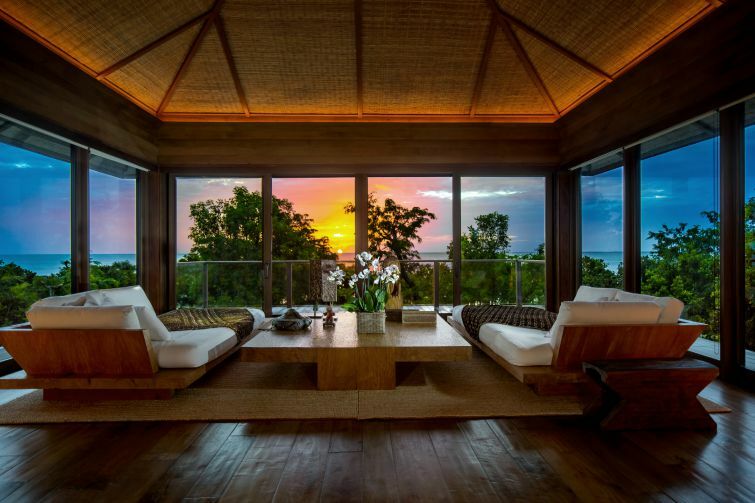 Donna Karan's Private Caribbean Beachfront Resort Up for Sale - Caribbean & Co. The ultimate guide to Caribbean travel and luxury lifestyle. 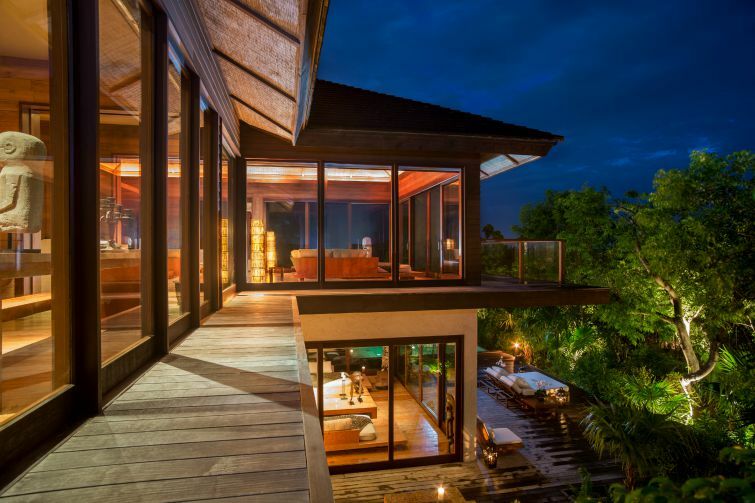 The ultimate trophy home currently on the market in the Caribbean is Palazzate – Barbados’ US$125 million luxury beachfront mansion. However, for ultra high net worth individuals who don’t want to invest that much money into one property, but still wants a luxury home of status in the Caribbean full of amenities — they should consider purchasing an extension of The Sanctuary, a private beachfront resort in the exclusive Parrot Cay area of the Turks and Caicos Islands. 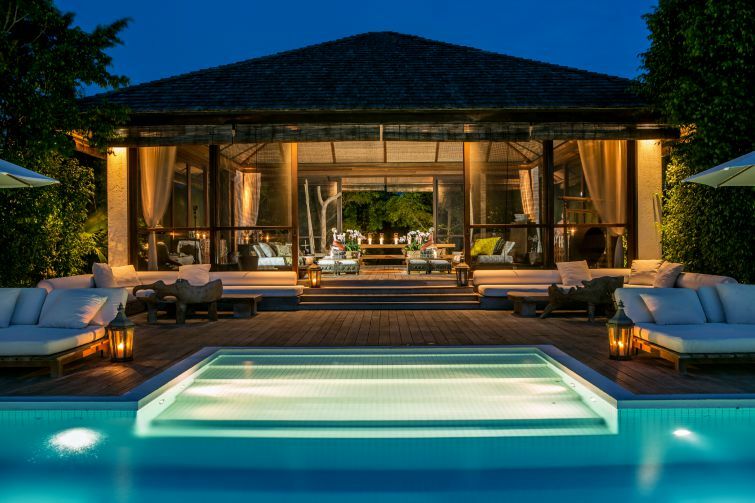 Turks & Caicos: The Sanctuary – Donna Karan’s beachfront resort in the exclusive Parrot Cay area. Photo: ©Christie’s International Real Estate. 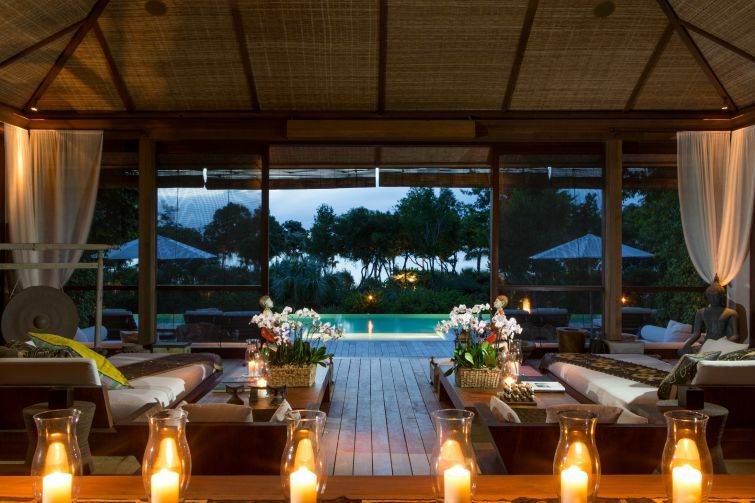 Owned by acclaimed fashion designer Donna Karan, the seven acres beachfront resort compound is currently on the market for US$39million with Christie’s International Real Estate. 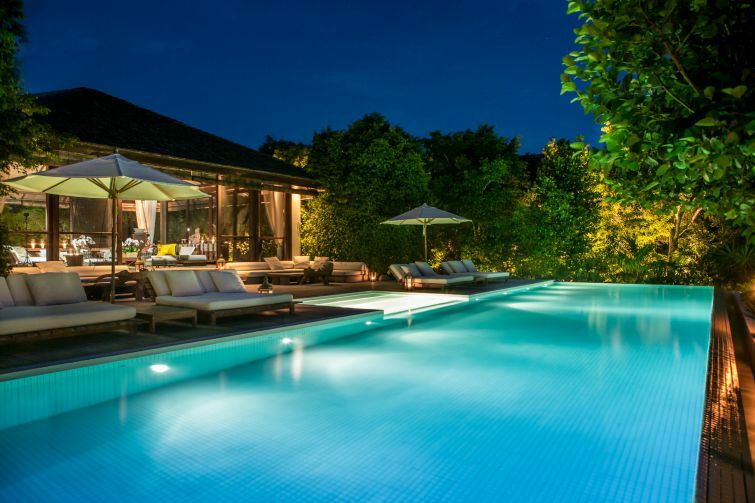 Included in the sale are two identical four-bedroom villa estates designed by Cheong Yew Kuan, a world-renowned Singapore architect, and completed with New York’s Bonetti/Kozerski Studio. Each of the villas designed to achieve balance, tranquility and “the restoration of wellness” have meticulously crafted interiors with exotic features such as “cedar and coral stone walls, European walnut floors, lightly filled raw travertine baths, teak furniture and eclectic works of art from Bali to Africa.” Plus each has a second-floor master bedroom that has stunning ocean views, three en-suite bedrooms, and an infinity pool. 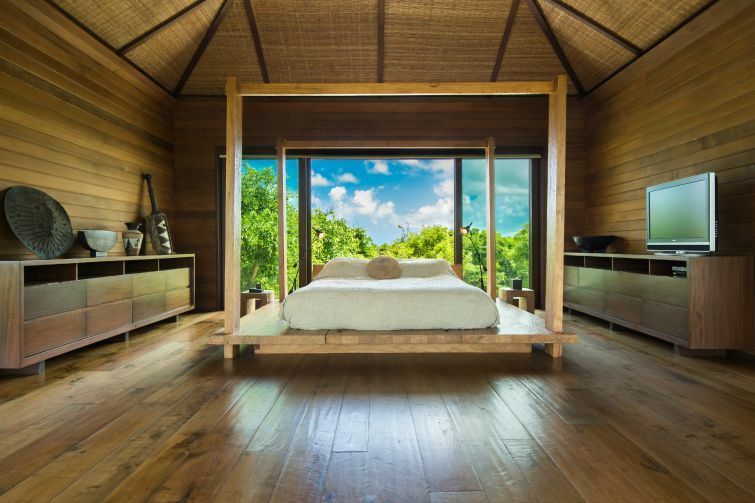 The Sanctuary also has a yoga pavilion, state-of-the-art kitchen pavilion, storage areas and the all important staff quarters. In total, over 12,000 square feet of living space with the central area having an indoor formal dining area with seating for up to 20 leading out to a third swimming pool. By air, the Turks & Caicos is just one and a half hours from Miami and three and a half hours from New York. 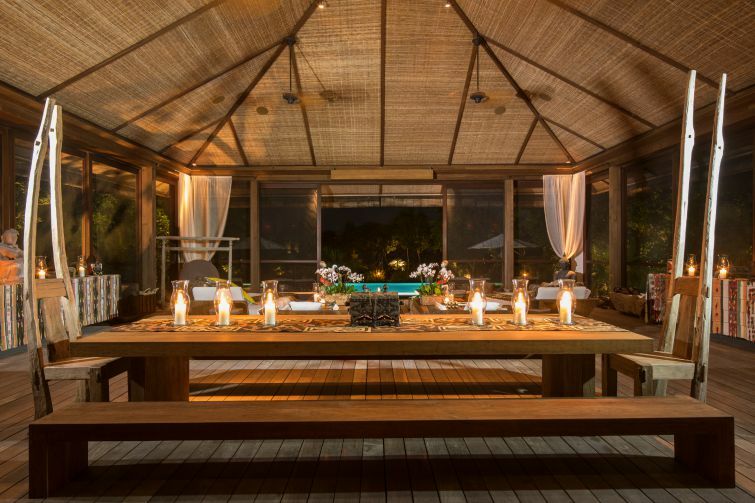 Once on the Turks & Caicos, Parrot Cay is just 35 minutes by boat from Providenciales. The private island is managed as a five-star resort and has other high-profile celebrity property owners including Christie Brinkley, Keith Richards, and Bruce Willis. 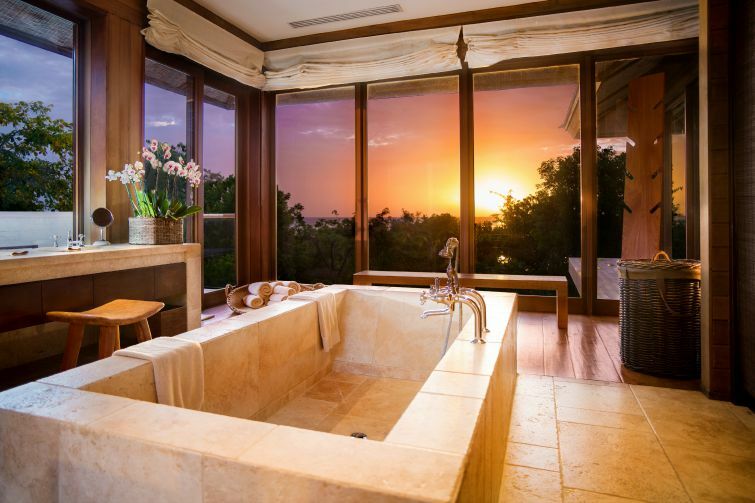 A private Caribbean beachfront resort, The Sanctuary offers unrivaled privacy, escapism and relaxation. For more information about The Sanctuary, contact Christie’s International Real Estate. All blog posts/articles are copyright © Caribbean & Co. 2014 - 2019. Unauthorized use and/or duplication in full without express and written permission from Caribbean & Co. is strictly prohibited. Excerpts (2 to 3 sentences max.) and links may be used, provided that full and clear credit is given to the author and Caribbean & Co. with appropriate and specific direction to the original content. THANK YOU! Founder | Digital Content Creator at Caribbean & Co.
Ursula Petula Barzey is a digital marketing professional and Founder of Caribbean & Co. which has allowed her to reconnect with her Montserratian and Caribbean roots! Copyright © 2014-2018 Caribbean & Co. All rights reserved.